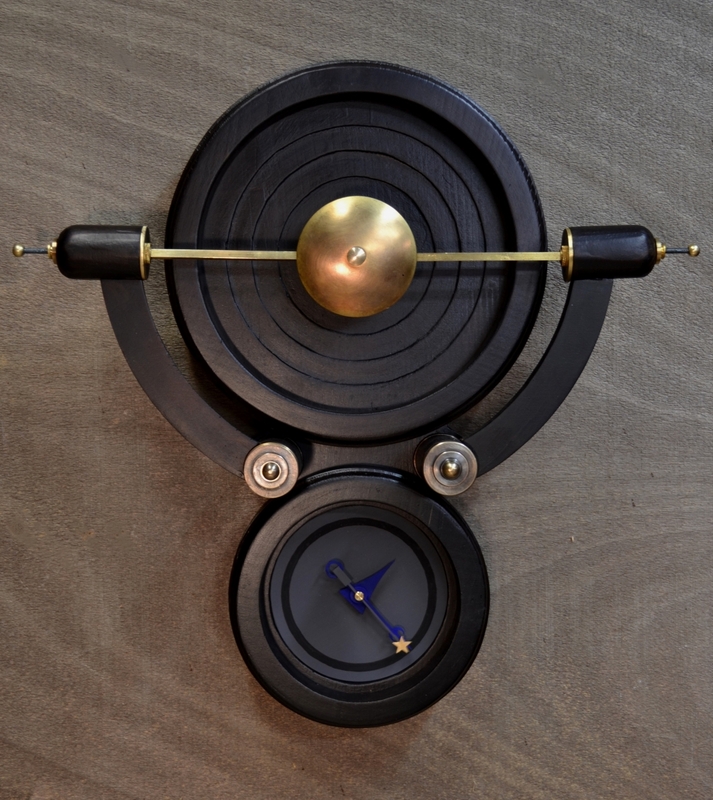 The steel clock face is finished in a matte, zinc gray with hand-made clock hands in electric blue and a gold leaf star on the sweep second hand. Weathered brass and satin brass details. 60 watt globe.